What Feral Animal Control Methods are Used in Australia? Feral animals are a real problem in Australia. Since European settlement, a number of native Australian flora and fauna have had to compete with introduced plant and animal species, which have impacted the survival rates of native species, as well as our ecosystem. One of the main reasons for the increasing number of feral animal species in Australia is the fact that they have very few natural predators and don’t suffer from many fatal diseases. As a result, their population has not naturally diminished and they can multiply rapidly in favourable conditions. To protect our environment, livestock, native plants and species, feral animal control is essential. But, what methods are in place to control the spread of feral animal species? Here, we take a look at some of the conventional control methods being utilised across the country. Some common types of animal control methods include fencing, trapping, baiting and shooting. Fencing is one of the oldest forms of wildlife management, with the introduction of netting fences for rabbit and dingo exclusions being used over 100 years ago. In recent times, it has even been introduced as a method for controlling feral foxes and cats. However, fencing can only be used, as a feral animal control method if the area that needs to be enclosed is relatively small. Unfortunately, these type of fences are more expensive than traditional stock fences and aren’t an economical or particularly viable option when trying to keep wild animals out of large parcels of land. When fencing is being used for trapping, regular inspections and maintenance are also required. Trapping is another method used for wild animal control and can include cage traps, soft-catch traps and yards that can be created around watering holes that are frequented by feral species. This is a labour intensive control method, as setting the traps is time-consuming, and they need to be checked at least once a day, however, they can wield some good results. For instance, Animal Pest Management Services have had success protecting marine turtle nests at Pretty Pool Beach at Paradise Beach and Downes Island in the Port Hedland area, and frequently use animal traps for foxes and wild dogs. 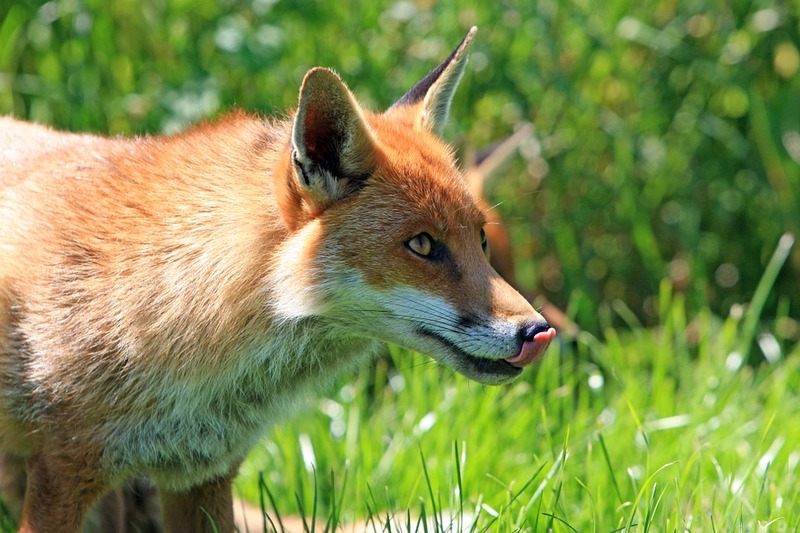 Baiting is often used as a method of controlling foxes, pigs, and rabbits. This is usually done with poison 1080. This poison is naturally occurring in pea plants in Western Australia, so native herbivores such as kangaroos and ground-dwelling mammals have built up a natural tolerance and immunity to the poison. However, wild animals are susceptible to the poison’s effects. This means it can be used more rigorously in Western Australia, as the effect on other animal species isn’t an as bigger concern as it is in other parts of the country. Baits used for feral foxes and pigs can be buried, as these species commonly dig for their food and eat the bait. Bait can also be dyed green and black to attract rabbits, while deterring animals like birds, as they often use choose their food based on its colour. Feral horses, pigs, goats, and even camels can be controlled via animal shooting. If control is needed in rugged terrain or vast remote areas, it is sometimes completed using a helicopter. Shooting is considered a humane method of animal control, as it’s quick and the targeted animals are not subjected to the stresses of mustering, yarding, and transportation. To learn more about animal pest management in Australia, and the pest control services WA that we offer, contact Animal Pest Management Services today!